Nothing says summer like a good, old-fashioned BBQ. With Memorial Day quickly approaching, we figured it was time to jump on the summer recipe ideas bandwagon. 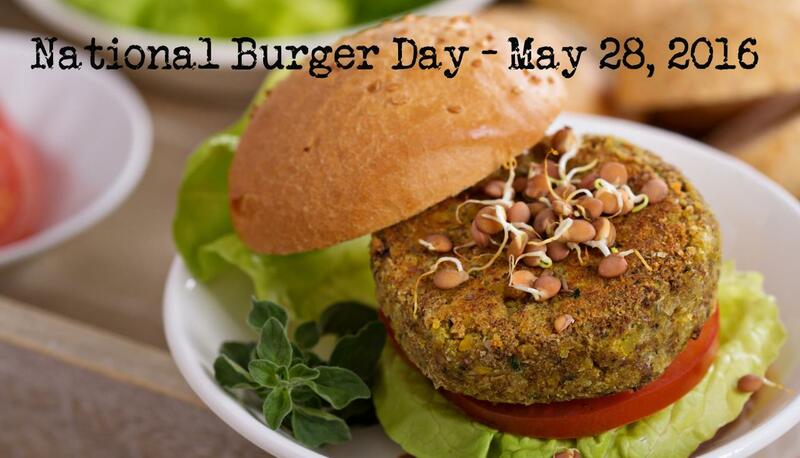 Since you know we’ve made a mission out of going meatless, we knew it would be nearly impossible to celebrate May 28th’s National Burger Day without sharing some of our favorite meatless burger menu items. So, here you go, in no particular order: 1. The Black Bean Burger – Though you can find a ton of these a... read more. I love a good night out as much as the next guy. Ok, well maybe not as much as Matt. Though he works longer and harder than anyone I know, when he chooses to let loose, he really lets loose. It may seem like a good idea to kick back and have some fun, but once we overindulge, we sometimes regret that the next day. That’s where one of our latest creations comes in. 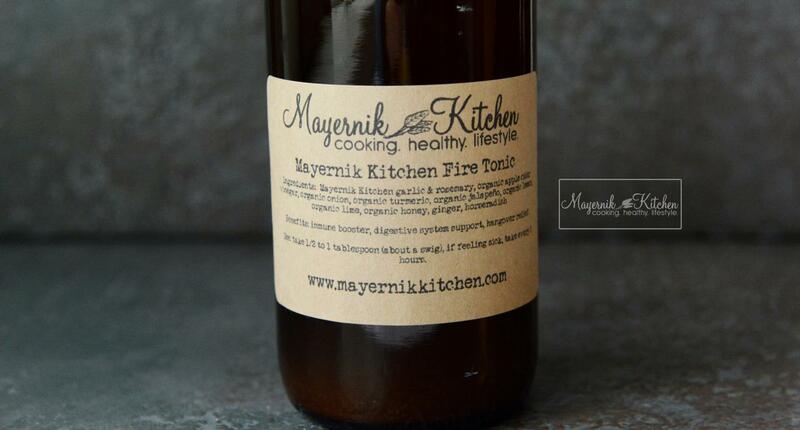 A tablespoon or two of Mayernik Kitchen’s Fire Tonic will have you back up and running in no time at all. A... read more. Though I love this time of year for the beautiful weather, the blooming flowers, and the increased time outside, Mother Nature’s erratic weather patterns are one of the largest causes of some serious migraines. If you are one of the lucky ones to experience these, then we have something super exciting for you. 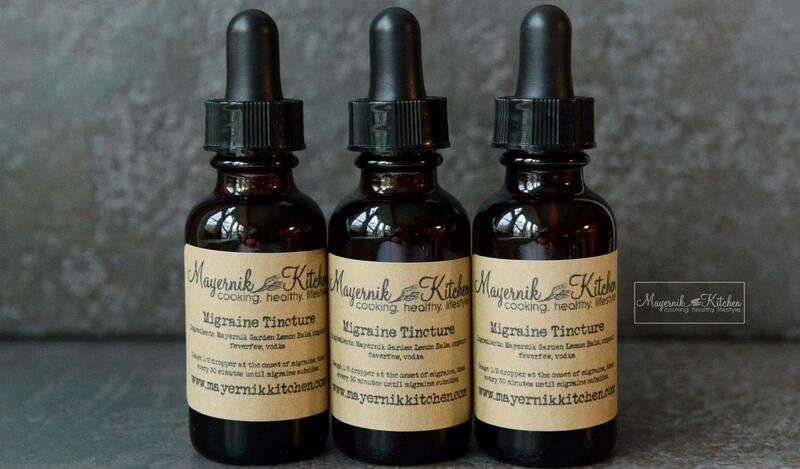 May’s Out of the Woods Apothecary Box includes a homemade Migraine Tincture that – trust me – has proven to work some major migraine miracles. A potent combin... read more. One of my personal favorites – and definitely one of the world’s most underrated – natural ingredients is honey. Using honey has become a part of my daily routine – whether in tea, a sweetener in oatmeal, an added bonus in baking, or even as an immune system booster. 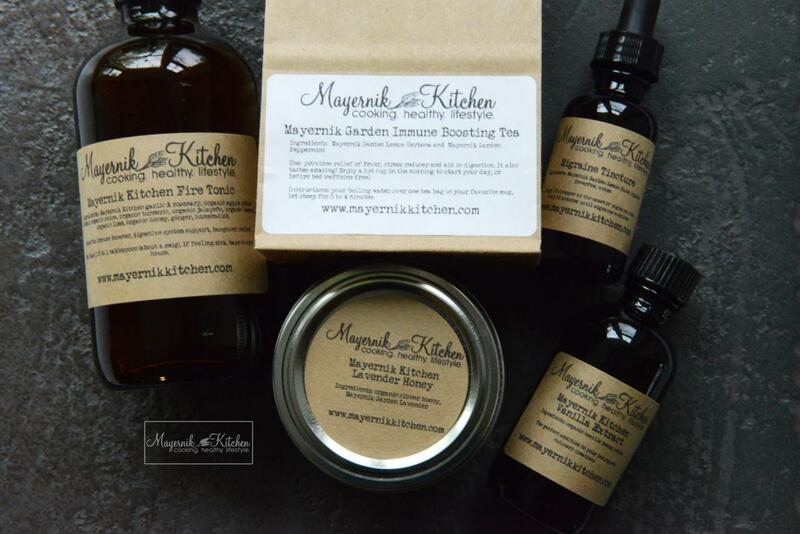 Because we use it so often, we decided to help you make it a consistent part of your lives as well by adding it to May’s Out of the Woods Apothecary Box. 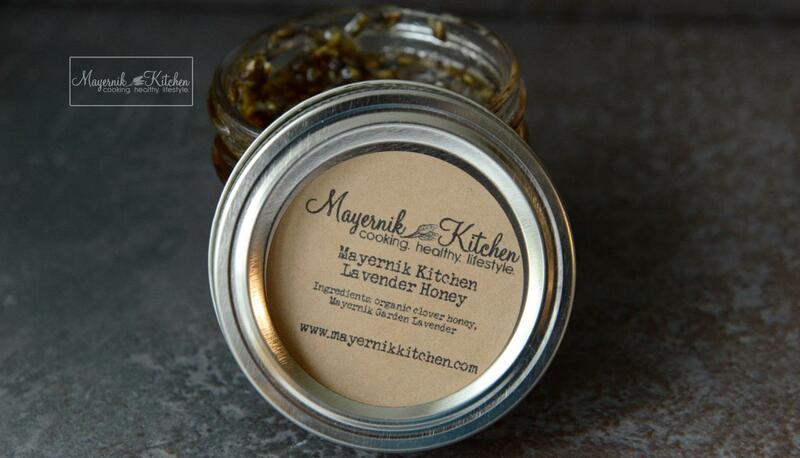 We combined some home-grown Lavender with... read more. I know I talk a ton about woodsy, florally scents, but I should tell you that I, by no means, discriminate against some flavorful, sweet scents. 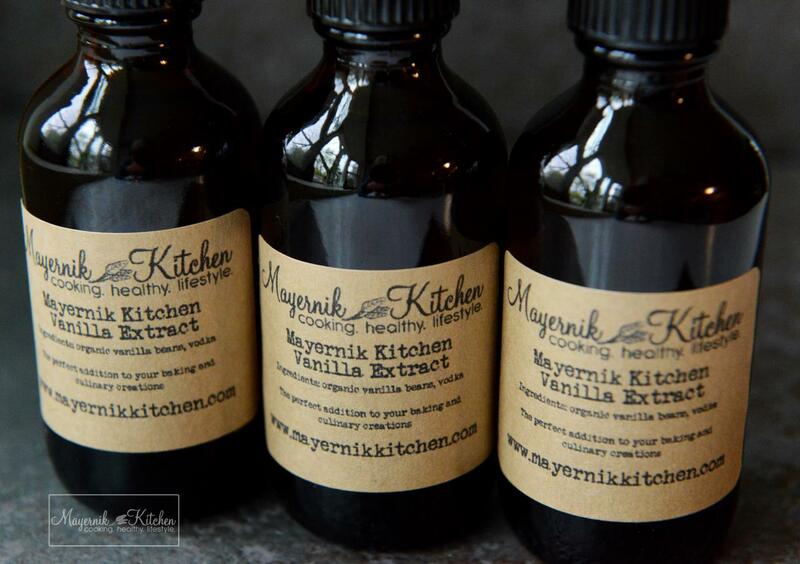 One of my go-to, most-used ingredients – for both flavor and scent – is vanilla. I know, I know. It sounds too simple to be true, but really, vanilla is ahhhh-mazing. 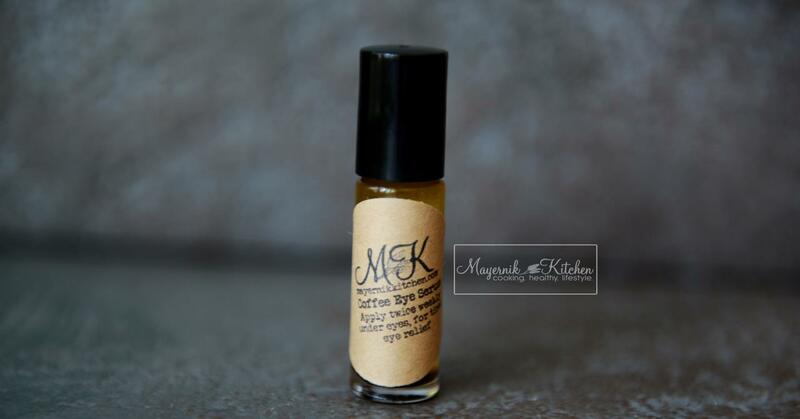 We have included in May’s Out of the Woods Apothecary Box our very own Organic Vanilla Bean Extract. 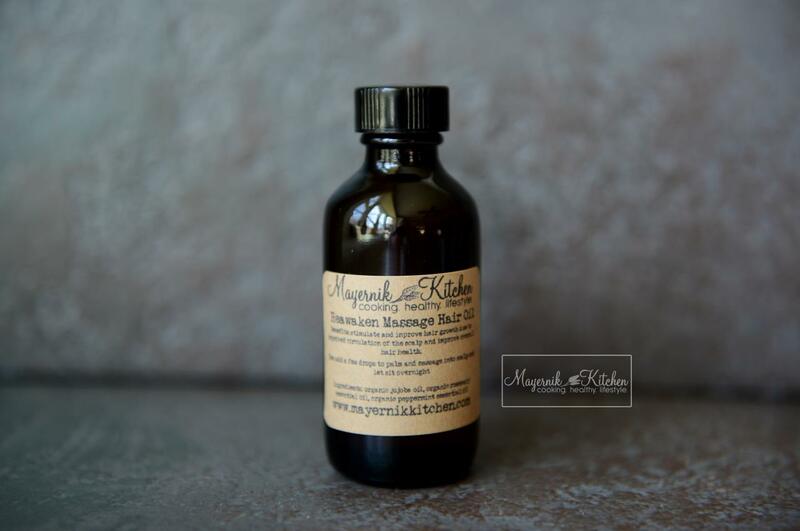 Though most people know to bake with vanilla extrac... read more. One year, back in college, I thought I was simply suffering some seasonal allergies. But on the morning of my last final, when I woke up, I could barely swing my legs out of bed. My body hurt worse than it ever had before, and to be honest, I’m not sure I’ve felt that awful since. After literally moaning my way through my final exam, I headed to the doctor who offered me some words of wisdom: Looks like you have the summer flu. What? The summer flu? Is that ev... read more. Why is it that, no matter how much sleep I get, I continue to wake with puffy bags under my eyes? Though there are days when I feel downright exhausted, on most occasions, I feel great, well-rested, and ready to start my day. I just wish I looked the part. Evidently, dark circles are hereditary (thanks, Mom and Dad), and are actually worsened by lying down horizontally (so much for the benefits of a good night’s sleep!). If you find yourself suffering a similar fate, please che... read more. As much as I love the cooler weather with warm sweaters and a good pair of boots, I also love me some flip flops. 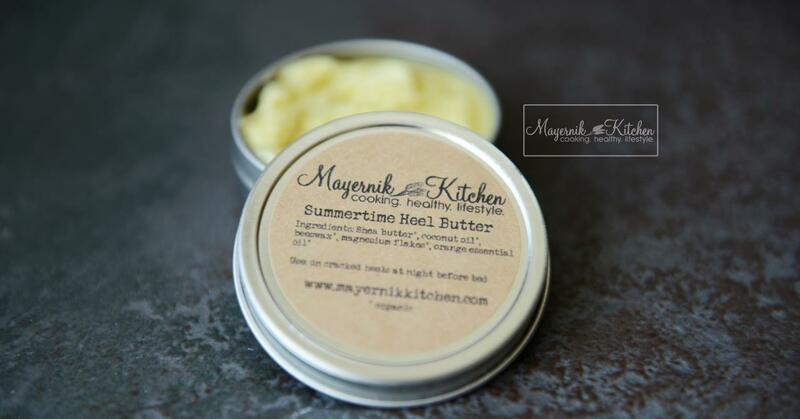 One of the first tell-tale signs of the spring and summer months is the baring of feet; however, after being cramped into socks and shoes all winter, many of us have dry, cracked skin on our feet leaving them a less than desirable sight. If you, like me, have found yourself in this predicament – and trust me, it’ll get worse as we travel with our bared feet through these months... read more. Despite rising controversy and an increased amount of negative opinions, April 22 remains one of my favorite days of the year. No, it’s not Christmas. No, I won’t be getting any birthday presents. But, you do know how much I love going green, staying green, and celebrating green, so what better day to do this than on Earth Day? 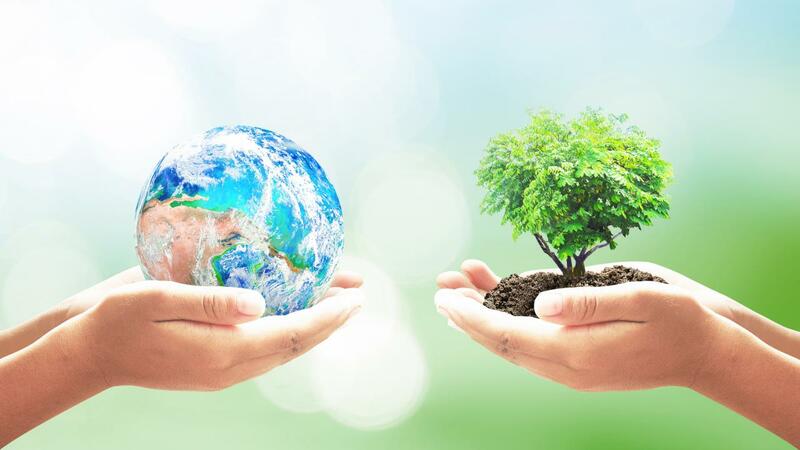 Though the concept of Earth Day was initially celebrated in order to honor the Earth – meaning its people – in an attempt to celebrate peace... read more. Did you know that I’ve had gray hair since high school? No, really. Since high school. I guess genetics were in some kind of mood with me when I was born because I got the short end of the hair stick. Though I’ve come to terms with my prematurely-aged hair, that hasn’t stopped me from trying to find some natural ways to work on my look. I’ve read a ton about the rejuvenating effects of rosemary. It offers a heap of invaluable characteristics like a... read more.